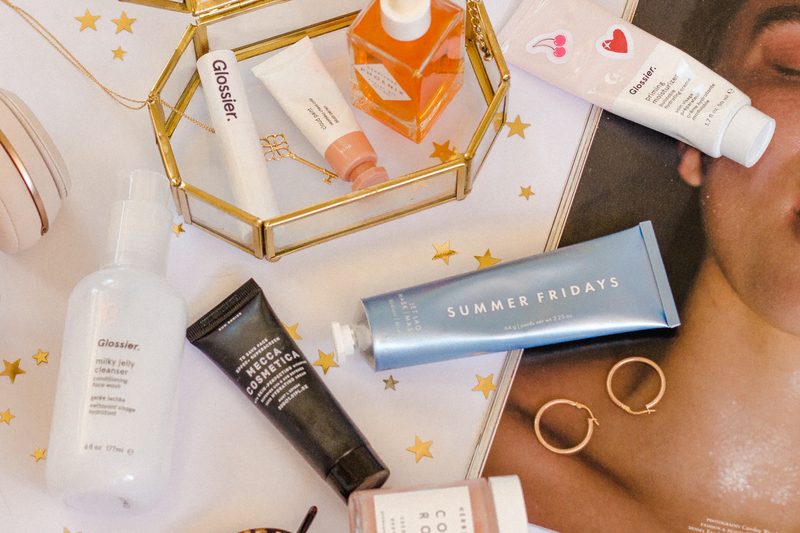 I've finally started to get back into posting on this blog regularly and thought what better way to get back into blogging than a good old beauty favourite round-up? 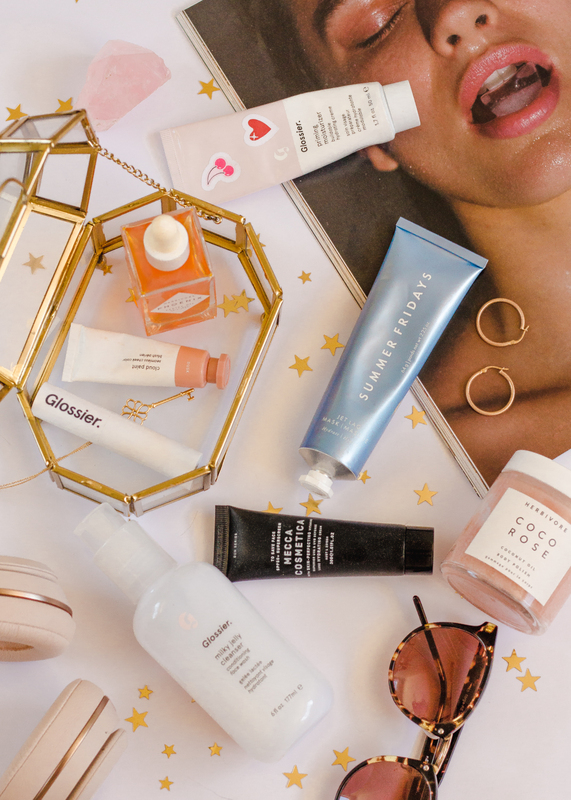 These types of posts are some of my favourites to read on other blogs as I find them so helpful in deciding what new beauty products I want to give a try next. The new year has brought about a lot of reflection and ponderance on what I want this blog to be. The past year my posts have often been rushed and half-hearted. Not because I was lazy or because I didn't want to blog anymore, but because I had so much on my plate and when it came to blogging, I was often running on empty and I think the content I was putting out reflected this. But this year I want to make my blogging journey a higher priority. While yes, for me it is only a hobby, it's something that has helped me discover so much about myself and has given me such great joy that I think it is worth more of my energy and time. I want to write more in-depth posts, take better photos and develop myself creatively so that I might inspire you to do the same, or to try a new beauty product or a new style once in a while. Not going to lie, it's still going to be a struggle to find the time and energy to put into this blog at times as I also start my journey as a new veterinarian this year. But I hope to try harder at prioritising how I do spend my free time this year. Anyway, without further ado, here are some of my current favourite beauty products that I have been loving in the month of January. Click their titles to purchase online! 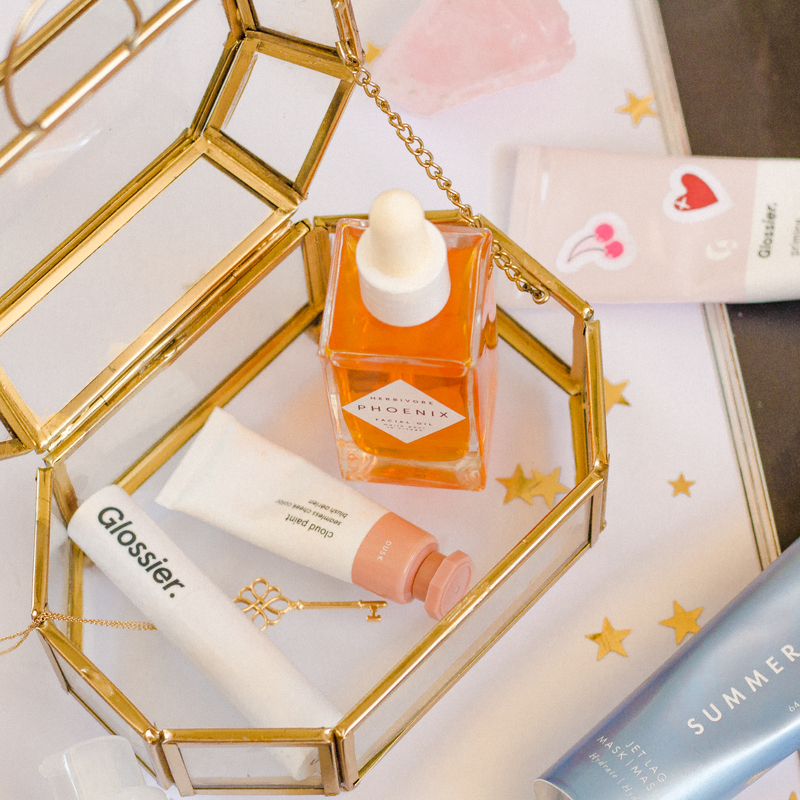 Surprise surprise, there is a lot of Glossier on this list! I received a whole lot of Glossier from my sister for Christmas as she had just come back from a trip to the US. So I have been trying all of the products over the past month and I am so freaking impressed. I am just so obsessed with their products and hope they come to Australia soon. 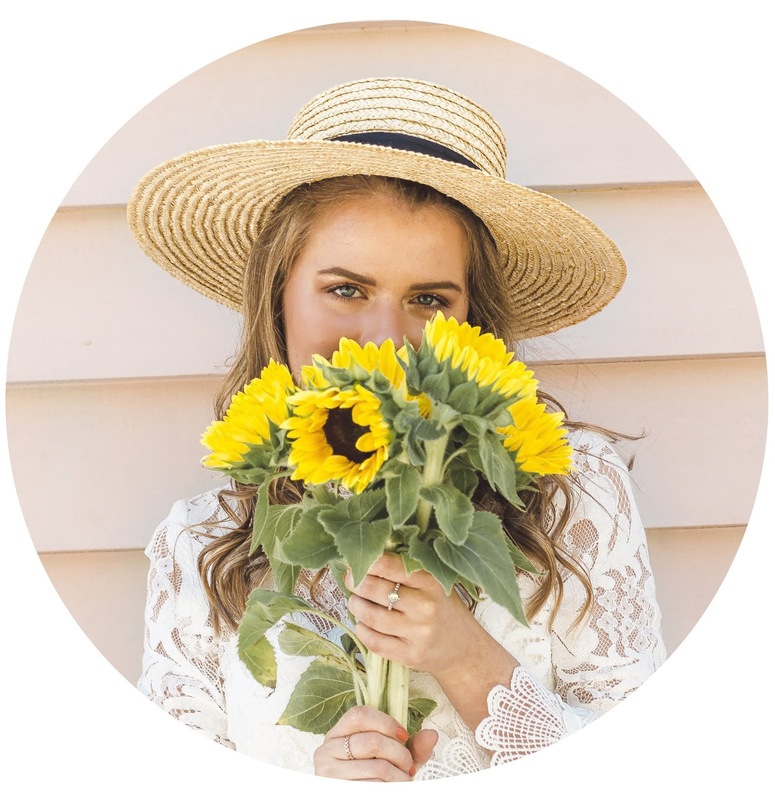 In the meantime, read about my favourites in this post so you can pick them up if you or someone you know happens to be going on a US trip! This cleanser is so gentle and nourishing for my skin and with only a subtle scent. I think this would be a good all-rounder cleanser for all skin types. Ah this blush is just stunning. The colour looks so natural and pretty once blended in, and it can easily be blended over powders. It also stays put all day, need I say more? I love the unique formula of these lipsticks. I'm really digging the sheer matte finish for a make-up no-make-up look. The only thing I will say is that you do need to make sure your lips are well exfoliated when using this lipstick as the colour can stick to any dry skin on your lips. But the finish and colours are just so pretty that I am more than happy to go the extra mile to wear these lipsticks. And if you want to see me actually wearing these lipsticks just check out my last few Instagram posts @anneinthedollhouse. This moisturiser is just such a great basic moisturiser for everyday use, and as it's title says, it primes your face nicely for make-up. This gives me the softest skin ever and has the prettiest and most delicate scent. Will definitely be repurchasing this once I've used this up. This oil has been another life-saving product for me while using my prescription retinoid. I've been applying a few drops of this every night, and honestly, I believe it's reduced the amount of peeling I've experienced. I was expecting to see much more peeling than I have, and I have a suspicion this oil has something to do with that. It also feels amazing to roll into my skin with a jade or rose quartz roller at the end of the day. An absolute essential in my skincare routine now, especially as I've started on prescription retinoids which make your skin more sensitive to UV light. I use this every morning and it sits perfectly under make-up. If you're looking for a good face SPF, look no further! I hope you all enjoyed this little roundup! Tell me, are any of these products currently a staple in your routine? I'd love to know in the comments below!